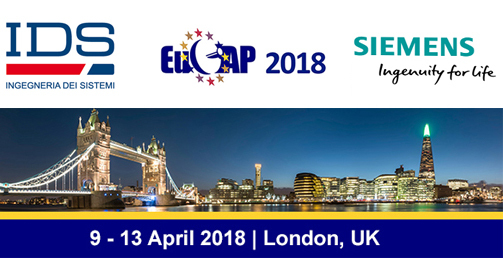 IDS will display its full range of ElectroMagnetic Engineering – EME services and products, CAE tools and measurement solutions, at the XII European Conference on Antennas and Propagation – EuCAP from the 9th to the 13th of April at the ExCeL Exhibition Center in London. In addition, this year a technical workshop will be held by IDS and Siemens PLM Software, showing new CAE product capabilities and reporting a wide range of cases/examples of electromagnetic engineering applied to industrial applications. For more information, please visit us at our stand, Booth 106-206.